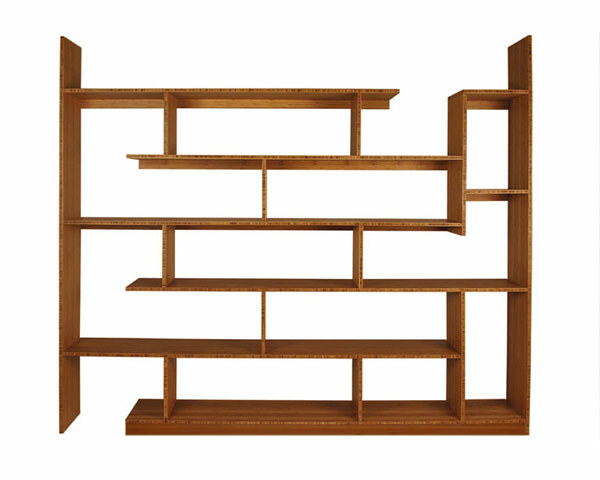 A striking shelving unit designed to maximize display areas through a variety of spaces. Irregular and asymmetrical shelving sections opens up the possibilities for a less traditional display of objects. I think it’s more designed to hold ‘objects’. You know, one of those sitting room pieces for people that doesn’t actually contain that many books, but more “stuff”, like cases and pricey art? But still I can imagine having this bookshelf filled completely with actual books. The taller compartments would be perfect to larger comic books, or a stack of books on their side. Are You Jacques d’Azur’s Heir?